Sashas Blend contains 100% all natural marine concentrates and works at the site of joint problems by treating the illness not the symptoms. 100% pure and natural with no additives or fillers, Sashas Blend contains Stabilised Green Lipped Mussel, Abalone and Marine Cartilage. This unique combination of marine concentrates contains a wide range of nutrients that may be beneficial in the relief of arthritic symptoms in dogs. The Sashas formula is a unique and potent combination of marine concentrates with high natural anti inflammatory and joint protective properties. Scientific tests have shown that the Sashas Blend formula is the ideal choice for long-term joint support at both the earliest stages as well as advanced Degenerative Joint Disease (DJD). Sashas Blend address all the key areas including the stimulation of healthy joint fluid production is also important to filter the nutrients through the synovial membrane. Without this the result of any treatment may be impaired. Nitric Oxide is the partner of PGE2 in producing the sensation of pain. 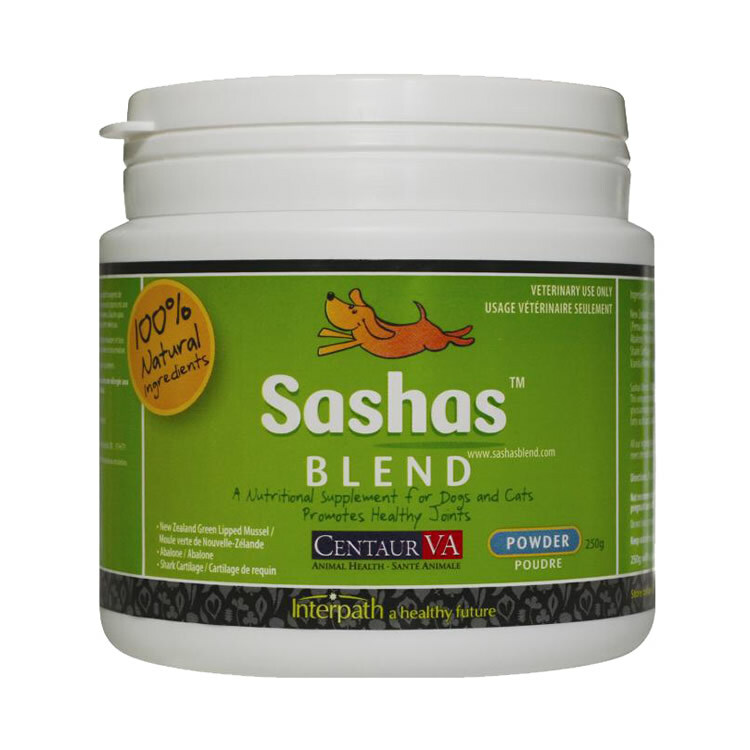 Read 1 customer review of Sashas Blend. The average customer rating is 4. We've been using Sasha's Blend for years for stiff joints and aches and pains. I know it works, because if we run out, the dogs get progressively slower and stiffer. I've analysed the price against Joint Guard and other competitors, and for the amounts of active ingredients per serving, it is much cheaper.